Nefesh B'Nefesh will open two new centers in Israel to help new immigrants. Nefesh B'Nefesh, an organization dedicated to helping Diaspora Jews make aliyah, will open two new centers in Israel to help new immigrants. In addition to the two new centers in Tel Aviv and Karmiel, which join centers in Jerusalem and Beersheba, the organization announced this week that it would expand its post-aliyah programming to help the new arrivals acclimate and integrate in Israel. The Life in Israel programs include workshops on navigating the health care system and understanding the tax system, as well as higher education counseling. Programs will also include helping new immigrants find employment, encouraging them to explore the country and integrate socially with native Israelis. 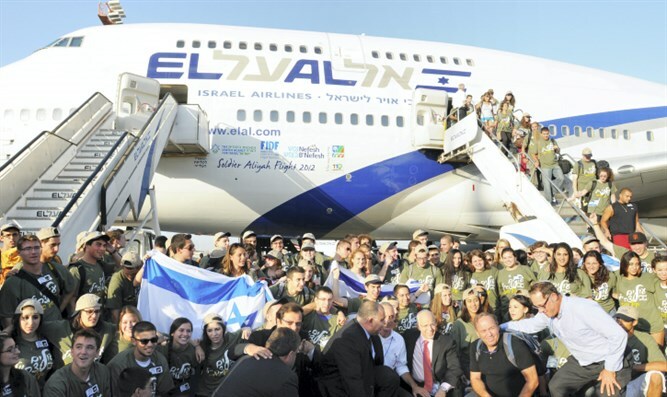 Nefesh B'Nefesh said in a statement that it celebrated bringing its 50,000th new immigrant o Israel this summer. “We are not only proud to have brought over 50,000 Jews to Israel, but are devoted to providing each and every one of them with the tools needed to integrate into Israeli society, the workforce and continue having a significant influence on the successful development of the State of Israel,” Rabbi Yehoshua Fass, the group's founder and executive director, said in a statement.